The wraps have already come off a number of brand new designs at the development, and with spring just around the corner, now is the perfect time to come out of home hunting hibernation and see what Hessle has to offer. The three-bedroom Eveleigh is poised to open its doors as a view home in early March, giving visitors the chance to see what the family-friendly property has to offer. An attractive semi detached home, it offers a large living room with glazed doors onto the garden – perfect for alfresco dining once the summer arrives – and an open plan kitchen/ dining room for additional family space. Two double bedrooms, single bedroom and family bathroom make up the first floor. In addition to the Eveleigh, the four-bedroom Aslin, Goodridge and Mylne make up some of the other new, spacious and stylish designs. 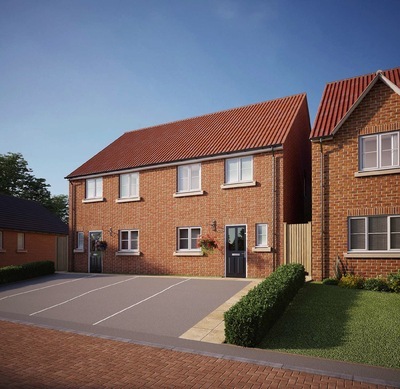 These homes are available alongside current designs available at Woodland Croft, where the Part Exchange scheme can help those with an existing property to sell. Linden Homes will arrange for at least three independent valuations of your existing home and will make you an offer based on their suggestions. Once you agree the offer, and subject to satisfactory surveys, Linden Homes becomes your buyer, freeing you up to put in reservation on your new home. - Less maintenance - older homes may have more character but they also need more maintenance than new ones, like new guttering, replacement windows or extra roof insulation. With a new home you have the comfort of a new boiler that won’t break down. - Energy efficiency. New homes are well insulated, and include double-glazing as standard, making them cheaper to run than older homes. The costs of heating a new home will be substantially lower than a comparable older one. - New homes offer a blank canvas for buyers to put their stamp on. A new garden means there is scope for unique landscaping to suit a customer’s individual taste. - New homes often have features many buyers may take for granted, including ensuite and ground floor cloakroom facilities and added security aspects including smoke detectors. - Location is a careful consideration with house builders when looking for a new site at which to build – with knock on benefits of schools, shops, amenities and perfectly placed for commuters. Current prices at Woodland Croft range from £209,950 for a three-bedroom semi-detached home. The sales and marketing suite is open daily from 10.30am until 5pm. Alternatively, visit lindenhomes.co.uk.